Mandela Barnes, Marisabel Cabrera, Jeff Smith and Sarah Godlewski: remember these names. These four members of Citizen Action Wisconsin, who all won primary races Tuesday night by wide margins, are proof the blue wave Democrats hope will crest in November continues to rise. But there’s more to this story. These four are the tip of a progressive iceberg, which is much bigger just below the surface. And like an iceberg, they’re getting ready to crash into the GOP’s “unsinkable” ship of gerrymandering and dark money and send it straight to the bottom of Lake Superior. National headlines focus on the top of our ticket, but beneath the surface, there is an important battle shaping up in Wisconsin for the heart and soul of the Democratic Party. The general Democratic trend in our state in 2018 has been unmistakable. In two State Senate Special Elections, Democrats flipped two strongly Republican seats, panicking incumbent Governor Scott Walker. Then a Democratic judge easily defeated Walker’s hand-picked candidate for State Supreme Court, the GOP’s first loss on the high court in many years. These successes convinced pundits that Wisconsin, after breaking for Trump by a few thousand votes in 2016, is ready to turn blue, with the State Senate within the grasp of Democrats first time since 2012. The New York Times summed up this view: “Republicans are deeply concerned about their future hold on state government; and the very identity of the state, which swings between progressivism and conservatism, feels up for grabs. But while the mainstream media captures the progress of Democratic candidates, it misses the progressive surge within the party. In last night’s primary victories, the ground was laid for Wisconsin to elect an exciting new crop of progressive Democrats, many of them leaders of color. 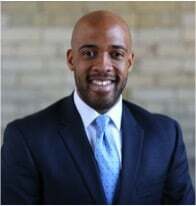 Mandela Barnes, who won with 68 percent of the vote last night, is now poised to become Wisconsin’s first African-American Lieutenant Governor. He’s a Citizen Action co-op and board member, who also attended the Founding Convention of People’s Action in Washington, D.C. last year. Mandela is a very strong and eloquent young progressive, who if elected Lt. Governor in the general election will be well-positioned to be a force in Wisconsin politics for decades to come. He also will be a huge asset on the stump in the general election, providing the spark that will be lacking from the Democratic nominee for Governor Tony Evers. Marisabel Cabrera is a dynamic young Citizen Action member and a leader of our Acción Ciudadana co-op. 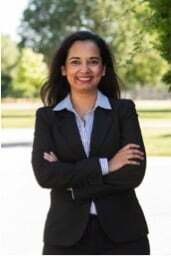 An immigration attorney, she defeated an entrenched incumbent by almost a two-to-one margin in a working-class district on the southside of Milwaukee. Marisabel will be the second Latina in the Democratic Caucus, and is also a proud member of the LGBT community. Marisabel will immediately become one of the most forceful and effective progressives in Madison. She has a strong criminal justice reform record, as the Chair of the Milwaukee Police and Fire Commission, and will play a leading role in taking on Wisconsin’s system of mass incarceration. Marisabel plans to make health care reform, and guaranteeing coverage as a fundamental human right, a major emphasis of her lawmaking. Citizen Action Milwaukee Organizing Co-op members worked tirelessly on the doors to help get Marisabel over the top. Jeff Smith won by almost two one over his closest competitor in a hotly contested three way State Senate primary in Western Wisconsin. A longtime Citizen Action member and organizer, he defeated establishment candidate Steve Boe, who had the support of much of the state Democratic infrastructure in Madison, and corporate agriculture. Citizen Action Western Wisconsin Co-op members played a major role in Smith’s win, providing a steady stream of volunteers. Jeff is a classic rural populist, who will take on the big money interests, especially corporate agriculture, and fight for Medicare For All. Jeff served two previous terms on in the State Legislature, until Walker and the Republicans gerrymandered his district 6 years ago to make it unwinnable for Democrats – or so they thought. Sarah Godlewski, a Citizen Action Western Wisconsin Co-op member, overwhelmingly won the Democratic primary for State Treasurer over two opponents. Remarkably, Sarah is the main reason the Treasurer’s office still exists: Republicans over the years had taken much of the authority from office and concentrated it with the Governor. They then placed a constitutional amendment on the ballot to abolish it this Spring that most political observers assumed would win easily. Sarah mounted a statewide campaign to save this office, arguing that with better leadership it could be a check on political corruption, financial mismanagement by the executive branch, and serve as a watchdog to monitor questionable corporate subsidies, such as Scott Walker $4 billion giveaway to iPhone manufacturer Foxconn. Not only did Sarah succeed in leading the grassroots effort to save the office, which goes back to Wisconsin’s original 1848 Constitution, she is now one election away from running it in the public interest! Citizen Action co-op members were also involved in a number of other progressive victories primary night, including the election of Earnell Lucas as Milwaukee County Sheriff to replace the controversial right-wing incumbent David Clarke who left to work for the Trump administration. Citizen Action co-op member and iron worker Randy Bryce won the Democratic nomination for the Congressional seat vacated by House Speaker Paul Ryan. The progress in Wisconsin in electing movement progressives was enabled both by strong candidates and smart grassroots organizing. Citizen Action of Wisconsin (an affiliate of People’s Action), and allies such as many progressive labor unions affiliated with Citizen Action, Wisconsin Working Families Party, and Our Wisconsin Revolution, have been making breakthroughs both in recruiting progressive candidates, and using primary elections to move candidates to the left. 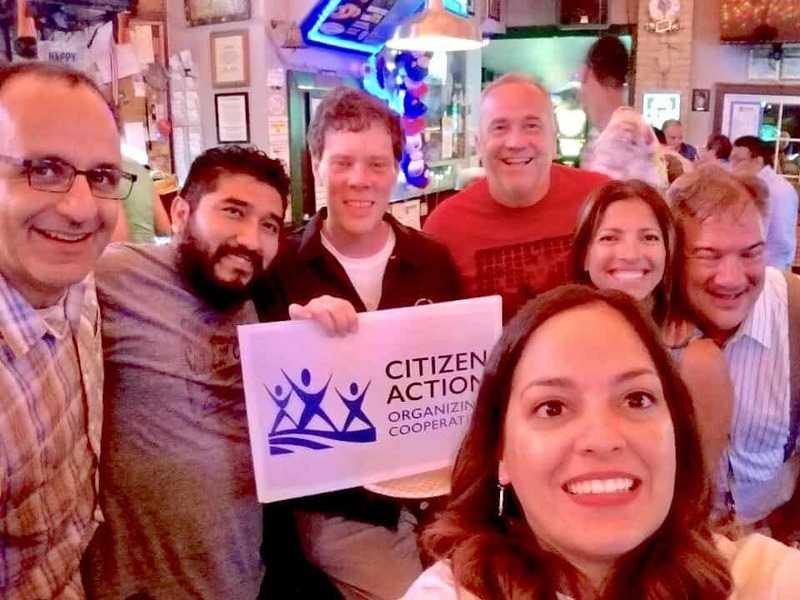 Citizen Action, which has democratically run “organizing co-ops” across the state, helped elect 49 members to local government positions in the Spring elections, helping stock a farm team of progressive candidates. There are 16 Citizen Action co-op members who won Democratic primaries who are now are on the ballot for State Legislature this fall. Citizen Action members worked together through 2017 to build an 8 year progressive platform designed to create a gold standard for progressive candidates. They then used this platform to recruit progressives to run, especially from their own membership, and to encourage candidates to take bolder and more inspiring positions. Citizen Action is also embedding member-volunteers within progressive candidate campaigns to make more effective use of its people-power, and to be less dependent on the availability of outside money. In the Governor’s race, a more conventional Democrat, Tony Evers, won the nomination but with only 41 percent of the vote, with the progressive vote split between six other candidates. As I wrote in a column for the Capital Times, Evers can only defeat Scott Walker this fall if he avoids Hillary Clinton’s mistake of turning off the progressive base by failing to run on a bold reform platform. So yes, the blue wave continues to rise. But more importantly, we’re taking back our state for progressive values – vote by vote, and seat by seat.